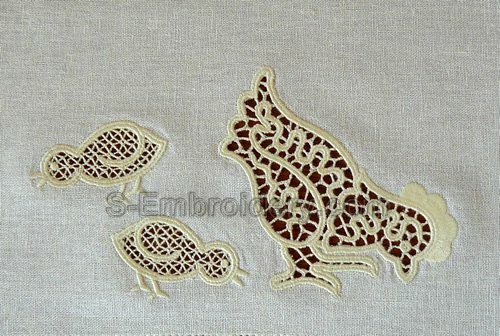 A set of 2 cutwork lace machine embroidery designs. The package contains 4 machine embroidery files. The hen and the 2 chicken are available both in separate files and all three in a single file. So, you could use the ready combination or the separate files in order to arrange the designs in any way you like. 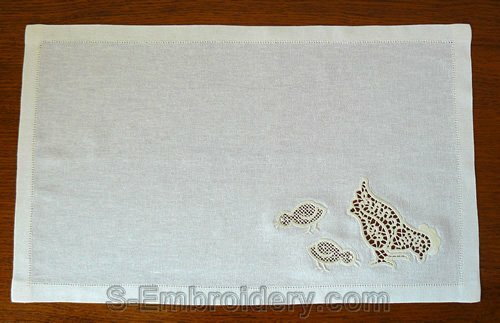 The set comes with instructions in PDF format for adding cutwork lace decorations.